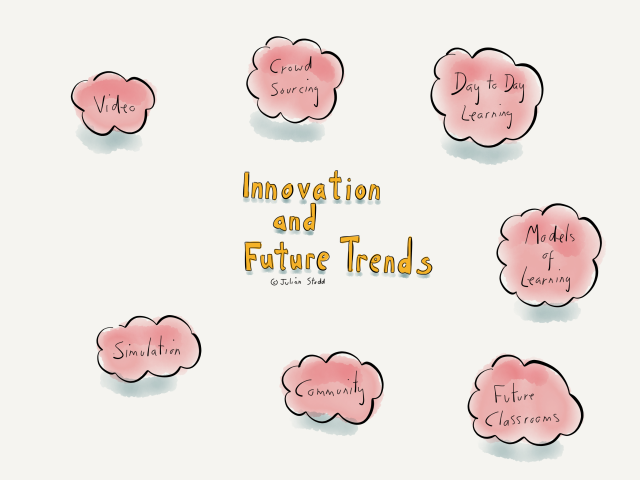 I’ve been working with a group of HR professionals today, facilitating a session around ‘Future Trends and Innovations in Learning’. As part of my #WorkingOutLoud, i share seven of the ideas generated by the group. Interestingly, i wouldn’t have chosen all of these myself, but they represent the grounded reality of this community. Video: a range of experiences within the group, from some organisations starting to develop platforms and capability to use ‘democratised’ video, whilst for others it’s new, or a distant dream. Democratised? Absolutely: older models of ‘broadcast’ video are well known in most organisations, but the potential in the Social Age is to tie into the tacit, tribal knowledge of the organisation by encouraging devolved experts to record and share their experience. To get this to work well, we have to consider aspects of social scoring and reward, but it’s an area with great potential.